Malala Dad Interview: Can You Be An Activist And Live Normally? We’ve all done it – seen a particularly heart-wrenching charity advert on television or walked away from a situation thinking, ‘I want to do more to help’. My own most recent example of this arose while watching ‘He Named Me Malala’ at the weekend with a friend. We sat in awe-struck silence as this remarkable 17-year-old girl – shot in the head by the Taliban and forced to leave her country to save her life – fought fearlessly for what she believed in: Education for women. I have spent my life trying to ‘adopt’ causes, only to drop them a few days later when I get distracted, or feel like the impending burden is just too much to handle. Meanwhile, Malala seems to have given up her entire life for what she believed in, and though it has made her an icon – she has been able to make a bigger difference at 17 than many of us manage in a lifetime – I don’t know if I envy her. Yes, I want to make the world a better place, but I quite like my lifestyle as it is. And if I want to make a difference, does it have to mean giving up the life I love? 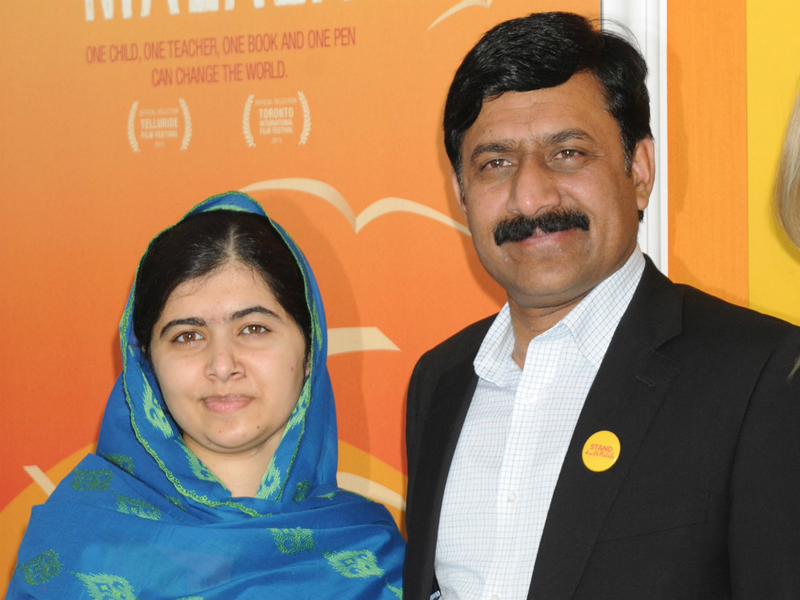 I meet Malala’s father, Ziauddin, a few days after watching the documentary, and he’s keen to reassure me. ‘[Malala] is a normal girl and she loves to be normal,’ he tells me, adding that despite winning a Nobel Peace Prize, speaking at the UN and raising awareness of women’s education all over the world, his daughter’s day-to-day life in Birmingham, well, like any other teenager. She squabbles with her younger brothers, worries about friends at school and gets 61% on a physics test. I explain that I’m worried I’d never be able to make as much of a difference as Malala – so why try? ‘No act is small and no act is big,’ he says. ‘It is your intention, your conviction, your belief. If you donate £1 a day to help educate a Syrian boy, you won’t notice that £7 a week leave your account but that little boy, through his schooling, may become the leader of tomorrow… the size of an act is not what makes it powerful’. Ziauddin began his crusade for women’s rights in Swat Valley, Pakistan, by writing his daughter’s name on a family tree that had previously only listed men. ‘At the time it was an individual act – just one of a father who believed in the equality of sons and daughters. I didn’t know Malala would end up being known all over the world – I never thought about it’. Malala has said she believes the film is not just ‘a movie but a moment’. But Zia’s flick of the wrist on a family tree inspired his cousin, years later, to finally accept that girls should be educated, even though his motivation was just ‘that [he] believed her to be an individual in her own right’. In other words, the little things you do can last a lifetime. ‘Spread the fire’, he tells me. And so I’m telling you the same. The BAFTA nominated documentary, ‘He Named Me Malala’, is out now on DVD and digital download.